Uni Enviro Tech THE EVOLUTION OF OUR COMPANY Uni Enviro Tech was established in the year 2010 as a Partnership based entity. The head quarter of our business is situated in Hyderabad, Telangana (India). We are instrumental in manufacturing of Water Treatment Plant, RO Plant, Water Treatment Plant Spare Parts, Water Purification Plant and many more. These products are well tested on various quality parameters. We are also a service provider of AMC Service, Water Treatment Plant Maintenance Service, Water Treatment Plant Installation Service and many more. We assure to render these services at given time frame. We are the best manufacturer of this domain, engaged in offering a wide range of Water Treatment Plant, RO Plant, Water Treatment Plant Spare Parts, Water Purification Plant. We also render AMC Service, Water Treatment Plant Maintenance Service, Water Treatment Plant Installation Service and many more. These products and services are quality approved. f.no:103 Capital Green Appartment, Calvary Temple Road, Mirapur, . 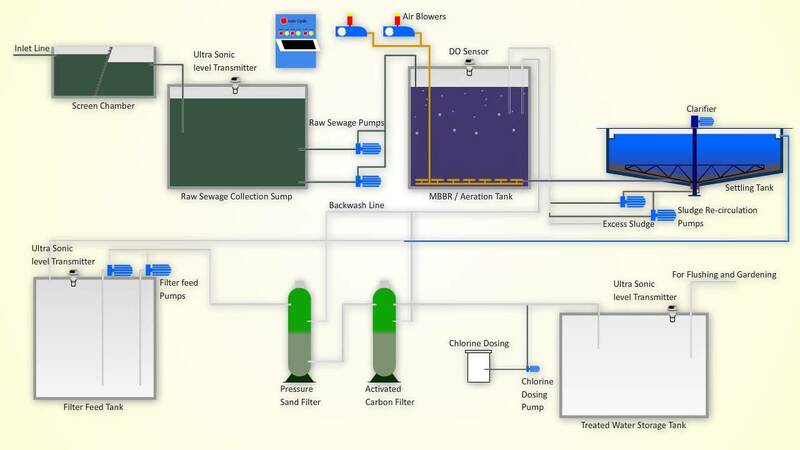 Sewage treatment is the process of removing contaminants from wastewater, primarily from household sewage. It includes physical, chemical, and biological processes to remove these contaminants and produce environmentally safer treated wastewater (or treated effluent). A by-product of sewage treatment is usually a semi-solid waste or slurry, called sewage sludge, that has to undergo further treatment before being suitable for disposal or land application. Note: Delivery usually takes 2.5 days, depending on availability and your location. Your order has been successfully placed. After it is reviewed, an email with the shipment details will be sent to the email ID you provided. Your order not be placed. Please try again at a later time. 17.4951394060603 78.3731709725676 Uni Enviro Tech f.no:103 Capital Green Appartment, Calvary Temple Road, Mirapur, .